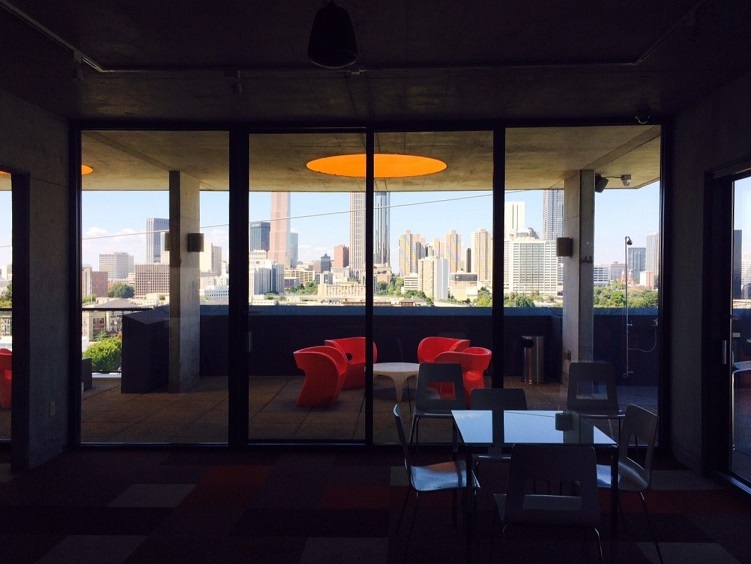 Home » Tribute Lofts, The Best Value in Old Fourth Ward/Inman Park? Tribute Lofts, The Best Value in Old Fourth Ward/Inman Park? Working with buyers is one of the most exciting parts of my job as I get to constantly explore new homes in an effort to help them find the perfect one. At times, I’ve found myself in a home or building that I’ve driven by a million times before and never noticed. Sometimes these homes can really surprise you. Yesterday I had just one of those experiences. I’ve lived in Inman Park/Old Fourth Ward for the past 6 years and I’ve driven by Tribute Lofts almost daily, yet I’d never really noticed it before. Perhaps that’s because it sits at the intersection of Boulevard and Freedom Parkway, and I’ve always been distracted trying to navigate a tricky left-hand turn there. Whatever the reason, I’m glad one of my clients wanted to visit a few listings in the building, because I can’t believe this gem has been hiding in plain sight the whole time. 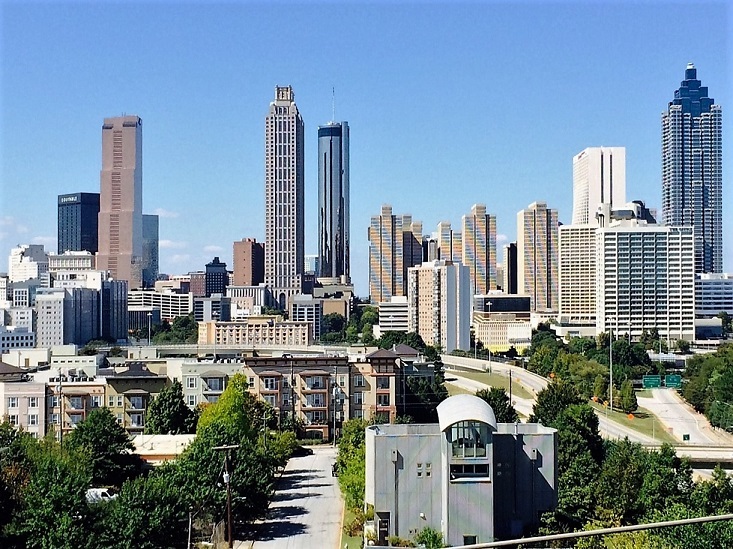 While I had seen some beautiful photos of Atlanta’s skyline taken from Tribute’s rooftop deck, I wasn’t expecting to be as blown away as I was when I found myself standing there in person. Having visited just about every high-rise condo in Atlanta during the last 2 years, I‘ve seen some incredible views, but Tribute has quite possibly the best skyline view in the entire city. Sitting on top of a small hill that looks directly down Freedom Parkway, Tribute Lofts has a rare unobstructed view of the city that is simply phenomenal. 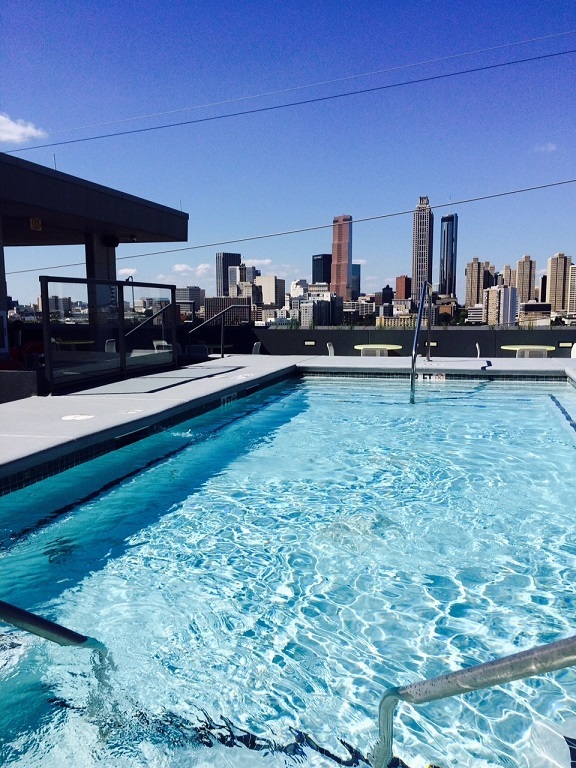 Tribute’s developers took full advantage of this view by placing the amenities on the top-floor of the building. From the rooftop pool and outdoor lounge/grilling area, to the indoor recreation area and gym, the entire floor has the city skyline as its backdrop. As I walked through the units themselves, I was also surprised by the quality of construction. The cement floors, ceilings, and walls all had a smoother “complexion” than many of the other new condo buildings in Midtown or Buckhead. The floor-to-ceiling windows blocked out almost all of the exterior noise, and the sliding door to the balcony was a full 10 feet tall. 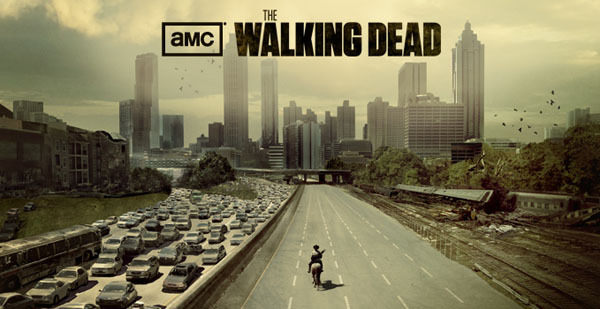 Once you closed the balcony door, you’d never know Freedom Parkway was just steps away. Beyond the impressive views and overall quality of the units, I was also struck by the value. At the moment, 2-bedroom/bath units in Tribute are selling for the high $200s, which is $100K less than a 2-bed/bath unit just a half-mile down the road in 870 Inman or Inman Park Village Lofts. 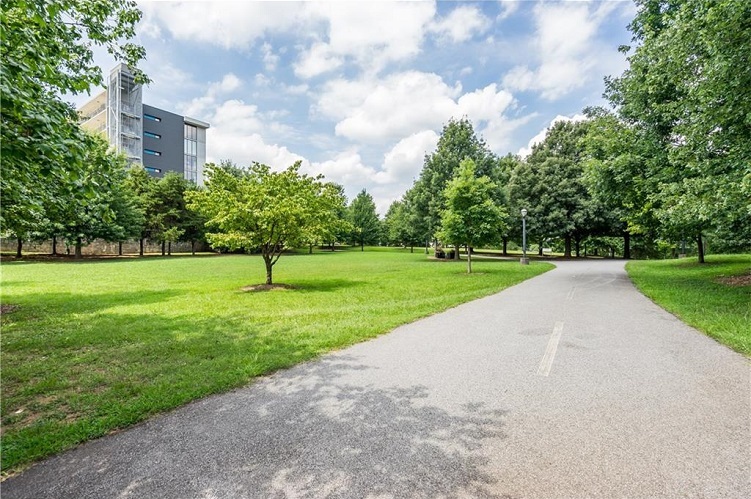 While those buildings are right in the heart of Inman Park’s restaurant and retail district, Tribute Lofts is just a short walk away down the Freedom Parkway Bike Path.